Napoleon Bonaparte was born in Ajaccio, Corsica, on August 15, 1769, and grew up to become one of the world’s greatest military strategists. Ajaccio remains hugely proud of the famous general, and there are many places and monuments that recall the city’s most famous son. These three are the ones not to miss. 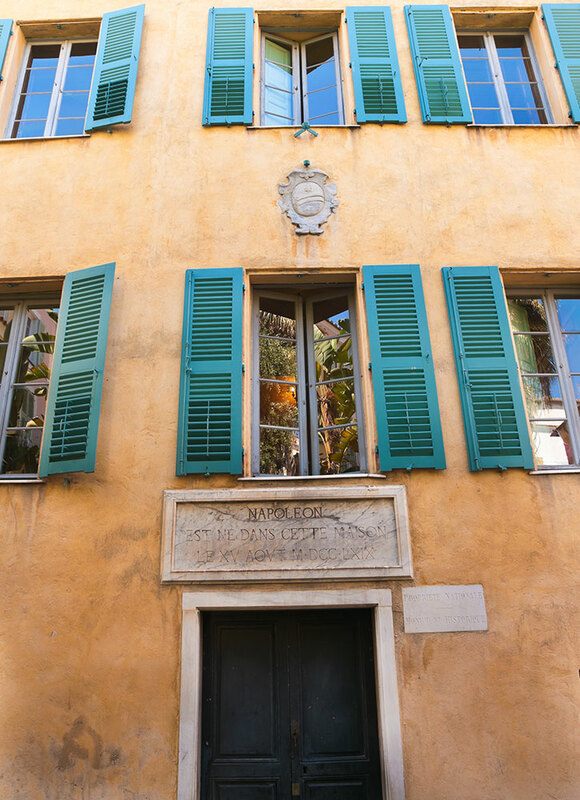 The place in Ajaccio that is most evocative of the general is the Maison Bonaparte, the house in which he was born on Rue Saint-Charles, close to the old Genoese citadel and quayside. Exhibits on its four floors recount the great man’s life, including the seminal events of the 1760s, when his father, Carlo, switched sides from the Paolist rebels to support the French. 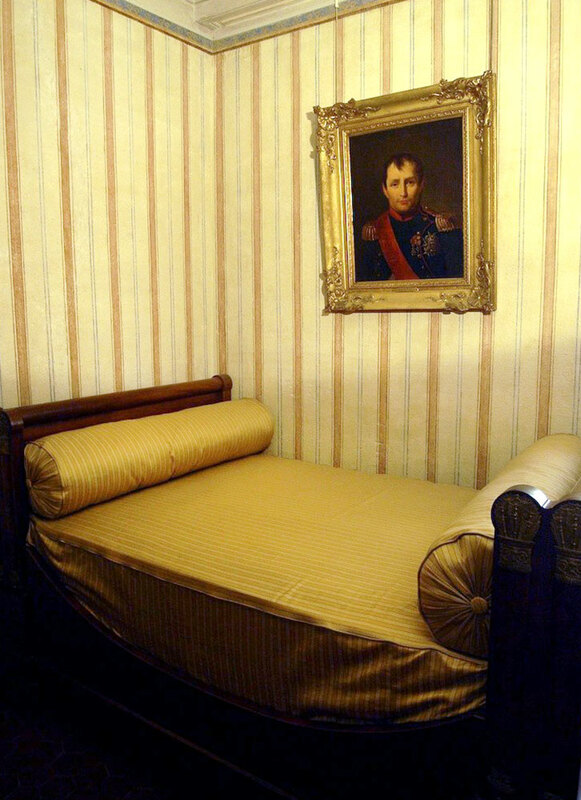 The museum contains a sofa that tradition holds is the one on which Napoleon’s mother, Letizia, gave birth to the boy who would eventually rule over most of Europe. A short walk from the Maison Bonaparte, in the palm-lined Place Foch, stands a white-marble statue of the emperor depicted as first consul, draped in a toga and crown of laurel leaves. It was commissioned by Napoleon’s ambassador to Rome, and eventually became part of the rich art collections of his step-uncle Cardinal Joseph Fesch. The cardinal was an avid buyer of Renaissance art, acquiring thousands of works by the likes of Botticelli, Titian and Poussin. 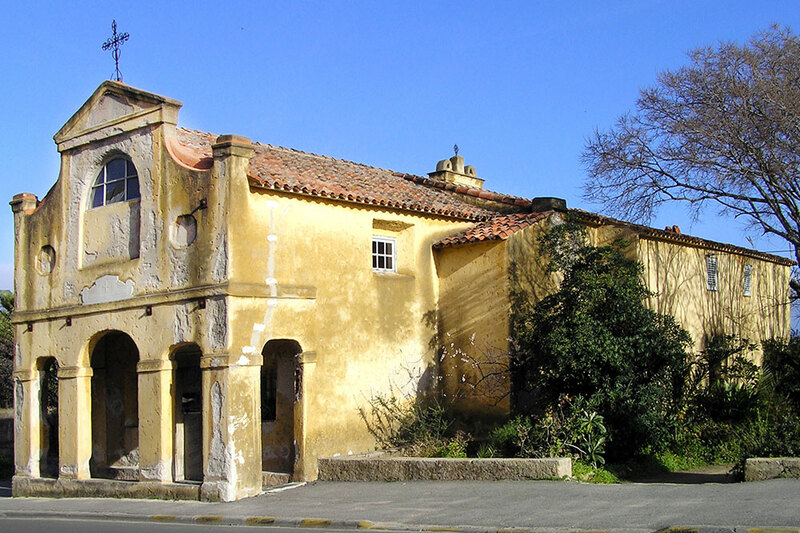 These are now housed in the Musée Fesch, Corsica’s most important art museum, as well as in the extravagant palace the cardinal built in the historic Borgu quarter.